Click on small image for a larger image, unless it is said that there is no larger image. 1. 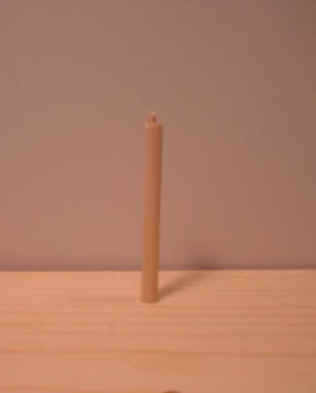 Start with a small dowel and a stand. 2. 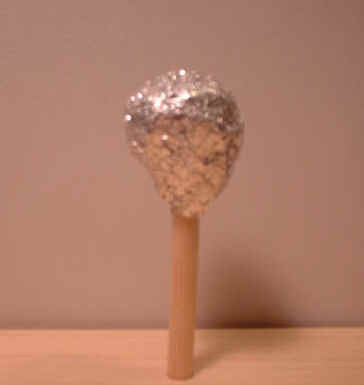 Crumple a piece of aluminum foil onto the end of the dowel and slowly form into a skull shape. (No larger image) 3. 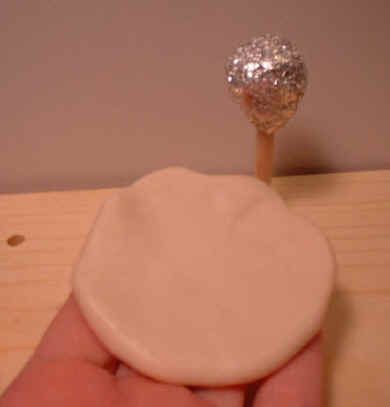 This is a picture of the foil skull from the side. It is only about 1 inch from top to bottom. 16. 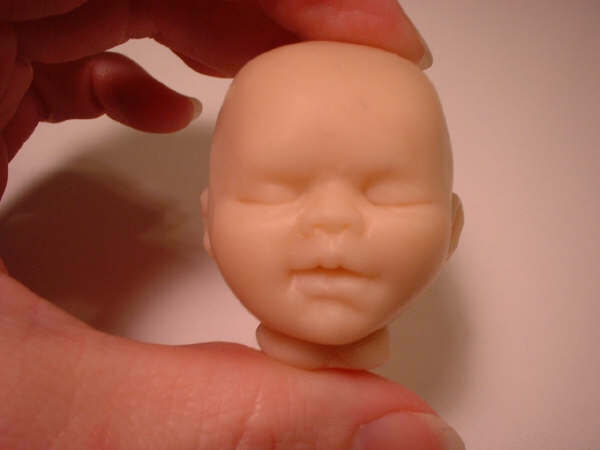 Use a sculpting tool to shape and detail the ear. (No larger image) 17. 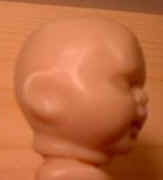 Picture of the baked unpainted head. 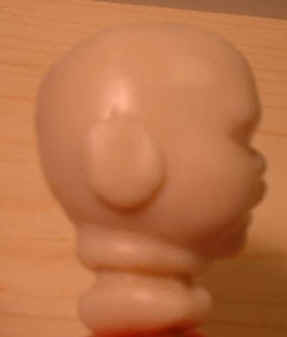 [Notice the details in the ear.] (No larger image) 17a. 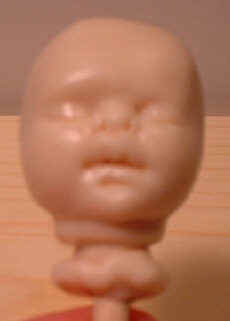 The baked head, front view.